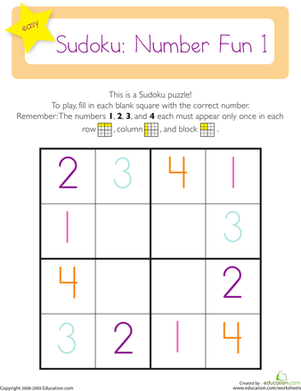 Sudoku is a fun logic puzzle that gives kids a chance to use their logical reasoning and critical thinking skills. 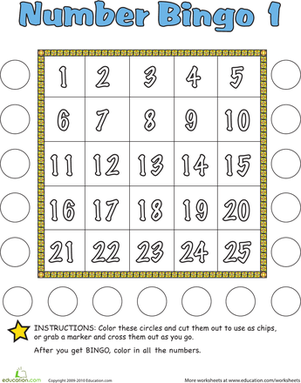 On this worksheet, kids write the numbers 9, 10, 11, and 12 in the blank squares to solve the puzzle. The numbers must appear once and only once in each row, column, and block. 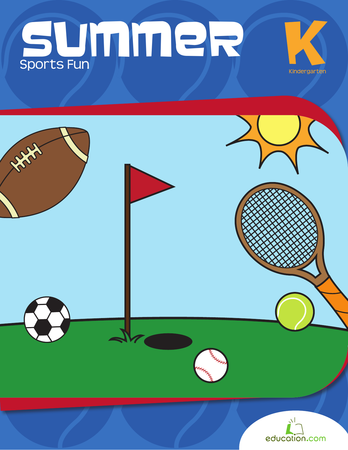 On this kindergarten math worksheet, kids use their logical reasoning and critical thinking skills to solve a Sudoku puzzle with the numbers 17, 18, 19, and 20. 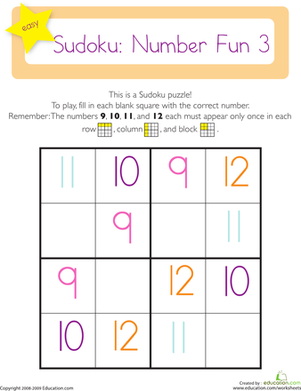 On this kindergarten math worksheet, kids use their logical reasoning and critical thinking skills to solve a Sudoku puzzle with the numbers 1, 2, 3, and 4. 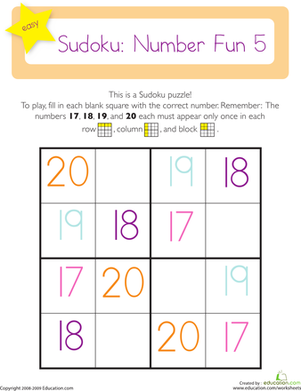 On this kindergarten math worksheet, kids use their logical reasoning and critical thinking skills to solve a Sudoku puzzle with the numbers 13, 14, 15, and 16. 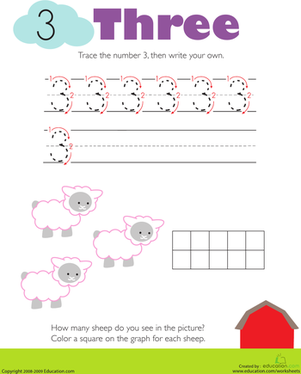 Get to work building up those math skills with a fun color by number page! 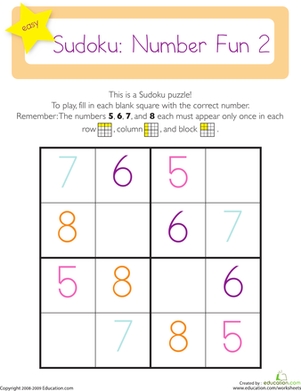 On this kindergarten math worksheet, kids use their logical reasoning and critical thinking skills to solve a Sudoku puzzle with the numbers 5, 6, 7, and 8. 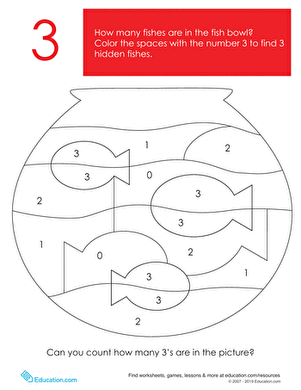 Coloring is as easy as 1-2-3 with this color by number page! Your young artist can practice her number skills as she colors this pretty parrot. 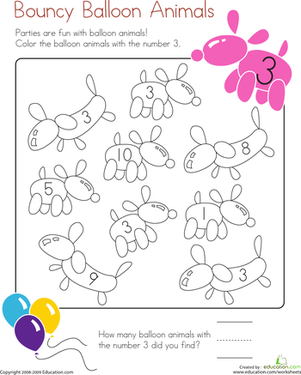 Help your kindergartener match each number with its numeral in this fun color-by-number worksheet.